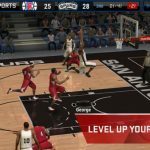 PopSwish Basketball by Andrew Wiggins (yes, that NBA star for the Minnesota Timberwolves) is a new iOS game that’s one of the many that are offering a new twist on basketball gaming for mobile. Instead of allowing you to manage teams and players and crunch all sorts of numbers, this game from R Space allows you to focus on the more casual side of basketball video games. You can shoot, score, catch fire by doing more of that, and defeat players from all over the world in this particular title. There’s an MVP Weekly tournament where you can win prizes that include official Andrew Wiggins memorabilia, and take advantage of the easy one-swipe controls as you seek to beat your high score again and again. 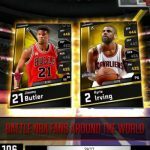 How can you play this game and become better than Andrew Wiggins, well, at least in the in-game universe? How can you beat more human players and score more points? Read on, and we’ll be giving you some PopSwish Basketball tips and hints for more success in this game. 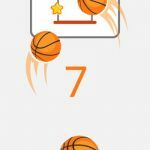 The gameplay in PopSwish Basketball works as such – grab basketballs as they appear in the air, and swipe upwards so you can shoot them into the hoop. It’s not as simple as swiping up, though – you have to swipe them the right way and aim them properly so they could find their target. It’s all about accuracy here, so you’ll want to avoid swiping to the side and swiping too far or not far enough. Don’t mind the basketballs that you aren’t able to shoot – the important part here is being as precise as possible when shooting the basketballs you’re able to control. We’re talking about literal bricks here, not a “brick” as in missing a shot – the game can be quirky like that. Avoid those bricks, and if you grab one by accident, drop it as soon as possible. 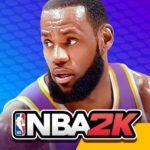 Grabbing a brick and firing it at the basket will shatter the backboard – it may be entertaining when the NBA’s finest dunkers do it, but in this game, shattering a backboard means game over! You want to go for a hot streak as much as possible. If you shoot about three baskets in a row, your succeeding shots will be worth additional points, thanks to a multiplier for being on a hot streak. That multiplier refreshes if you miss, so try making those shooting streaks as long – and as hot – as possible. The game’s equivalent of a money ball is the gold ball, which will earn you ten times more points than you would if you had successfully shot an ordinary basketball. The red ball, on the other hand, gives you a 2x multiplier, albeit for a limited period of time. Shooting the blue ball will freeze the clock temporarily, allowing you more time. Simply grab the red and blue ball to activate the bonus – you don’t need to shoot those balls to take advantage of their benefits. These would be our list of tips and tricks for PopSwish Basketball. Know more hints for the game? Let us know by commenting below!